A timeless, classic counting book whose luscious illustrations evoke the colors, sounds and feelings of a delightful day at the seashore spent with someone special. For any child, or anyone who loves a child, or indeed, anyone who loves being near the ocean! This book will fill your heart. This timeless, classic counting book will take you straight to the seashore! Luscious oil-painted illustrations evoke the colors, sounds and feelings, all the delights of a day at the beach spent with someone special. Gulls wheel, waves curl, beach umbrellas flutter, children play. The rhythmical text enumerating simple seaside pleasures will charm reader and listener alike. The final illustration encompasses everything counted in the previous pages: fun to seek and find. A captivating book for any young child, or for anyone who loves a child, or indeed, for anyone who loves being near the ocean! This book will fill your heart. 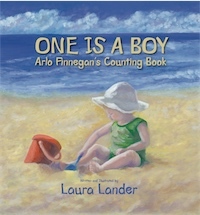 Laura Lander has lovingly written and illustrated this third of her books for children. 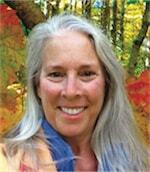 She currently resides in Maine, where she spends her days writing, painting and exploring the natural beauty that surrounds her. In addition to her previous children’s books, Laura has published several memoirs of inspiration and encouragement for others who endeavor to follow a life path of awareness.